CHENNAI – TAMIL NADU – INDIA DECEMBER 26 , 2012 11.55 P.M.
After four days stay , I left Vaitheeswaran Koil in the afternoon and reached Chennai in the night . Sitting in the room of my hotel Golden Tower , I am writing the 4th installment of ” Understanding Tamil Nadu ” . In my last 3 blogs I have tried to explain some of the misconceptions about Tamil Nadu , its leaders and general public . For the large sections of North Indian people the image of Tamil Nadu of 1965 is hard to forget . I think I have explained everything in detail about Tamil Nadu of 1965 . 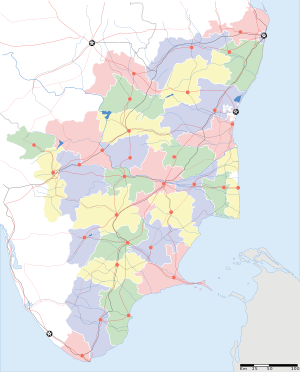 Conjeevaram Natarajan Annadurai , Muthuvel Karunanidhi , Marudhur Gopal Ramachandran and Jayalalithaa Jayaram have dominated the Tamil Nadu scene since 1967 . They all jointly left Dravid Kazhagam led by Erode Venkata Ramasamy Naicker ” Periyar ” a.k.a. E. V. Ramasamy Naicker ” Periyar ” and formed Dravid Munnetra Kazhagam a.k.a. D.M.K. in 1949 . Conjeevaram Natarajan Annadurai a.k.a. C. N. Annadurai led D.M.K. to victory in 1967 elections and became the first non – Congress leader to form a majority government in any Indian state . He left Dravid Kazhagam and formed a new party because he was not willing to be part of anti national forces . He was against vivisection of India and was in favour of fighting elections under Indian Constitution . Atheism and anti – Hindi sentiments were the only two things which he accepted and borrowed from Dravid Kazhagam . He was instrumental in dropping the demand of independent Dravid Nadu of Periyar and berrying it forever in the pious land of Tamil Nadu . After his death in 1969 the post of chief minister went to Muthuvel Karunanidhi a.k.a. M. Karunanidhi . He followed almost same principles of C. N. Annadurai and atheism and anti – Hindi rhetoric still continues to be his credo . But he has participated in the N.D.A. as well as U.P.A. governments of centre and his earlier bellicose attitude does not exist any more . A five time chief minister of Tamil Nadu is not the same M. Karunanidhi of yore . He is a changed man . In 1972 Marudhur Gopala Ramachandran a.k.a. M. G. Ramachandran split the D.M.K. and formed Anna D.M.K. It was later on rechristened as All India Anna Dravid Munnetra Kazhagam a.k.a. A.I.A.D.M.K. He is the only chief minister of Tamil Nadu , who holds the record of winning three consecutive terms as the chief minister . Though he followed atheism initially , but he was a practising Hindu and a follower of Bhagawan Muruga . During his regime , animosity towards North India disappeared and he followed a policy of no confrontation towards centre . His successor Jayalalitha jayaram is a Hindu Brahmin and though she has not said anything openly but she is not an atheist . She is the only leader of prominence from Tamil Nadu , who can speak fluent Hindi . 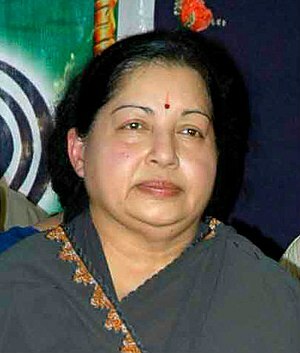 In my personal opinion she is only leader from Tamil Nadu who is capable of becoming the Prime Minister of India . I must say that she could , rather she should become the Prime Ministar of this nation . That day will be a red-letter day in our history and it will be a final blow to some of the misguided policies of E. V. Ramasamy Naicker ” Periyar ” . Thus in Tamil Nadu of today a different picture emerges these days . Gone are the days of unnecessary bellicose attitude of Tamil politicians . Credit for this goes to Bharat Ratna M. G. Ramachandran . Again a personal opinion , but I think he would have been an excellent Prime Minister of India . But alas he died young . 70 is no age to go . I will again say that Tamil Nadu is changing fast . Or it has already changed ? I am waiting to narrate these findings to all the current students of my acting school Vidur’s Kreating Charakters . VAITHEESWARAN KOIL – TAMIL NADU – INDIA DECEMBER 25 , 2012 10.55 P.M.
After going through my two previous blogs on ” Understanding Tamil Nadu ” , I think that E. V. Ramasamy Naicker ” Periyar ” and his various steps , which he took during his movements , would be properly understood out of Tamil Nadu also . His rationalism , espousal of self-respect , advocacy for women rights and eradication of caste system is epoch – making and has everlasting effect on Tamil people and Tamil Nadu . His works among weaker sections of Tamil Nadu , his efforts for the uplifting of lower castes , long subjugated by Brahmins , would be always held in high esteem and would be considered exemplary . His untiring efforts for the uplifting of women bears indelible marks on the social psyche of Tamil society . Widow marriage , in my opinion , is his most colossal work . He tirelessly worked for the eradication of child marriage . He espoused inter – caste marriages and opened many educational institutions for the weaker section of society . 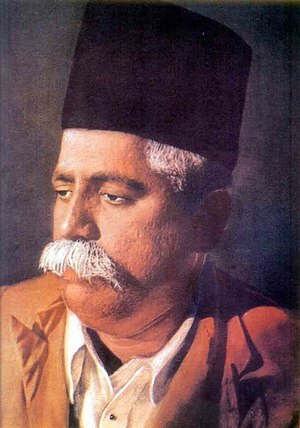 His blind opposition of HINDI , HINDU , HINDUSTAN somewhat darkens his other exemplary and far – reaching social works . It is this aspect of his personality and work that brings suspicion and doubt in the minds of large sections of North India . To understand Tamil Nadu better , let us take all the three causes of Periyar , one by one . HINDI : I closely followed politics since my Allahabad days . 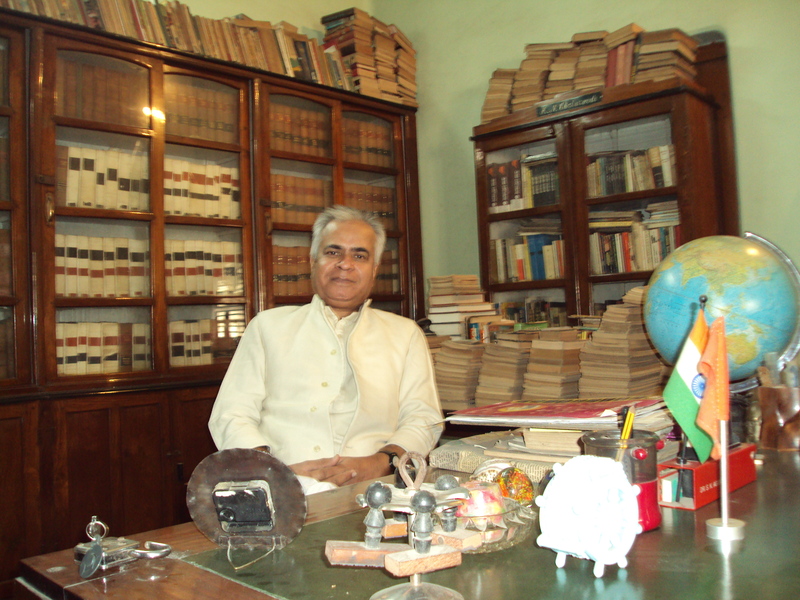 I went to Allahabad in 1967 and it was the year when anti – Hindi agitation started in Tamil Nadu . I read many wicked stories published in the Hindi newspapers and magazines of those days . One story said that if you are lost and approach a Tamil speaking person for asking the right route , you will be unable to get an answer if you ask in Hindi . Even if a Tamil speaking person knows Hindi , he won’t answer and will go away saying ” HINDI ILLAI ” . I found this story false during my recent forays in the hinterlands of Tamil Nadu . If I approach a person for asking something and even if I ask the question in Hindi , I was not spurned . I get the answer in broken Hindi and that too with smiling face . Sometimes if the person genuinely doesn’t know Hindi , instead of running away , he tries to explain everything in fluent Tamil with lots of hand movements and facial expressions . If Tamil people think that Tamil is an ancient language and it is older than Hindi , I think that we have to respect the sentiment . Tamil is used in every sphere of Tamil Nadu and you will hardly find signboards in Hindi but in my opinion that is absolutely fine . A particular language should be respected and should be used in the land of its origin . That’s the basis for the formation of linguistic states , which has been agreed by all the political parties . HINDU : E. V. Ramasamy Naicker ” Periyar ” was atheist for sure . Through his organization Dravid Kazhagam , he started denouncing Hinduism . It started with denunciation of Iyers and Iyengars , Brahmins of Tamil Nadu and culminated in processions , where idols of Ram , Sita and Lakshman were garlanded with slippers . I can understand his dislike for Brahmins . I am willing to fathom his opposition of Sanskrit language also . I am willing to accept his credo of atheism . We in India have accepted Charvak , the first atheist , as a saint . But you can’t force your belief of not believing in religion on others . He organized a procession to the Marina beach in 1956 , to burn pictures of Rama , the God . His followers broke idols in the temples , banished Brahmins from the every section of tamil society and organized Ravan Leelas . But in my recent visits to the state , I found to my surprise that in every temple of Tamil Nadu a serpentine queue of devotees are visible . It has to be seen to be believed . People come in very large numbers and they pray and worship . Temples are well maintained in Tamil Nadu and I can vouch that Hinduism is thriving in the state much vigorously . Dravid Kazhagam is now a smaller force and Tamil Nadu is as religious as any part of India . In following the tenets of Hinduism they are much ahead and dogmatically strict . On EKADASHI , I found people thronging the temples . I am yet to see same enthusiasm on EKADASHI in North India . 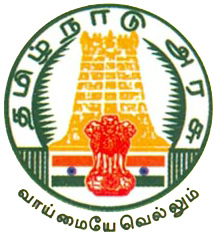 Moreover the Tamil Nadu state emblem tells it in a more fitting way . Burning effigies of Bhagawan Ram and other Hindu Gods and the days of celebrating Ravan Leelas are over . Atheism can be accepted , as Charvak was accepted in olden times and he was even called a RISHI . HINDUSTAN : One of the most disturbing legacy of Periyar was to give a call for Dravid Nadu . He wanted to unite all the four provinces of South India and wanted this entity to be an independent Dravid Nadu . But majority of his supporters revolted against this demand . In the leadership of C. N. Annadurai , they formed Dravid Munnetra Kazhagam and fought elections . Since 1965 either D.M.K. or A.I.A.D.M.K. rules the state and the demand of so-called Dravid Nadu is thrown somewhere in the trash bins of history . But demand for separation from India is there in Jammu & Kashmir and all the provinces of North East India . They are more palpable . 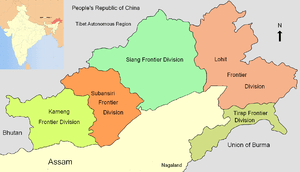 In fact these provinces are waging armed struggle against the nation . Then why to blame only Tamil Nadu ? There was just a demand and that too by just one organization , Dravid Kazhagam . And today Dravid Kazhagam is not a major force . A very interesting fact of Tamil Nadu and Dravid politics is that Periyar was himself a Kannada speaking Kannadiga . One of the most successful chief ministers of Tamil Nadu , M. G. Ramachandran was a Kandy , Sri Lanka born and Malayalam speaking actor turned politician . current chief minister Miss Jayalalithaa Jayaram is also a Kannadiga and the irony of the situation is that she is a Brahmin . And she speaks fluent Hindi . Present day superstar Rajanikant , incidentally , is a Maharashtrian . So the fort of atheism and anti Hindi these days is held by Muthuvel Karunanidhi only . But even his family members have changed . M. K. Stalin and Kannimozhi are not that dogmatic . So I am stating with all my knowledge accumulated during this visit that Tamil Nadu is changing . Or it has already changed ? After my return , I would love to share these findings with all the current students of my acting institute Vidur’s Kreating Charakters . VAITHEESWARAN KOIL – TAMIL NADU – INDIA DECEMBER 24 , 2012 11.59 P.M. In my last blog I have stated about the Self Respect Movement started by E. V. Ramasamy Naicker ” Periyar ” in Tamil Nadu in 1925 . This far – reaching movement changed the contours of Tamil Nadu , Tamil politics and Tamil society forever . It did give room to some misgivings but its effect and its contribution can’t be wished out . Instead of talking about the misgivings , let us look at the positive side . 1 – Periyar talked about the eradication of caste system . According to him lack of self-respect among weaker section of society and their uplifting should be the main aim of society and government . Periyar thought that a small number of people , mainly Brahmins have created caste system to dominate the weaker section , who are in majority . So there should be casteless society . 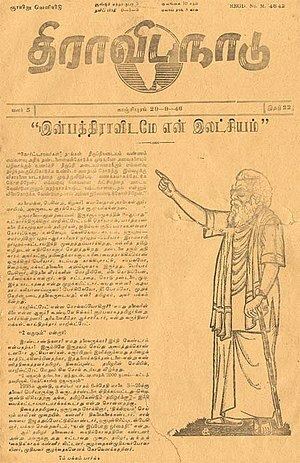 2 – Periyar talked about the women’s rights . Since he was a rationalist , he advocated women emancipation , widow re – marriage , education for women and jobs for them in police and army . He talked that women should be given equal rights and they should be given good education and must have right to property . He also advocated widow re – marriage . He wanted to abolish dowry system and advocated inter – cast marriages . It will be astonishing for many that in those primitive era , he advocated birth control also and it all happened much before government took the initiative . 3 – He talked about rationalism and criticized the inherent contradictions in the Hindu religion . His espousal of above mentioned causes are laudable and praiseworthy . Almost every leader of that era supported these causes in one form or other . Method was definitely different but not the goal . Now let us talk about two movements , which can’t be supported and because of that , Periyar is misunderstood in the rest of the country . 1 – In 1937 , the then Chief Minister of Madras State Chakravarthi Rajgopalachari introduced Hindi as compulsory language of education in school . Periyar opposed it whole – heartedly and he got massive support also . Leaders cutting party lines supported the movement . Later on all the Dravidian parties also took this as their demand and anti – Hindi movement slowly became anti – North Indian . 2 – In 1939 Periyar become head of Justice Party and in 1944 changed its name to Dravid Kazhagam . He then started advocating independent Dravid Nadu . Thus anti – Hindi movement and propagating independent Dravid Nadu could be called sore points for the North Indians and thus Dravid movement and Tamil Nadu is misunderstood in the rest of the country . But we should know that within 5 years of propagating independent Dravid Nadu , majority of Dravid leaders left Dravid Kazhagam . 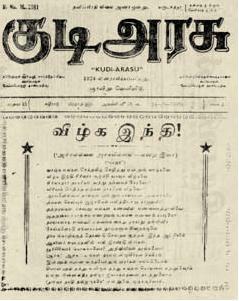 C. N. Annadurai led the rebellion and formed Dravid Munnetra Kazhagam in 1949 . He participated in elections and formed the first non – Congress government in 1967 . Therefore misgivings about independent Dravid Nadu should be put to rest because Periyar’s followers themselves didn’t pursue it . Anti – Hindi agitation erupts here and there even today but there are fissiparous activities in many parts of the country . Why blame only Tamil Nadu for this . I have read many stories about anti – Hindi feelings of Tamil people . 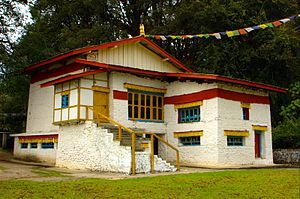 But during my stay in the province and that to in the hinterlands , I was astounded and would like to tell my North Indian friends that enmity does not exist . Every section of Tamil society and people tried to help me even though they genuinely can’t speak Hindi . They did struggle but tried to speak Hindi . So ” HINDI ILLAI ” slogan , which was given so much publicity in all the Hindi press in and after 1967 is completely wrong and mischievous . I am sorry to say that many stories published in the news papers and magazines of Hindi in 1967 are not true . May be some things might have happened during the anti Hindi agitation of 1937 and 1967 , but they are things of the past . The emblem of Tamil Nadu says it all . 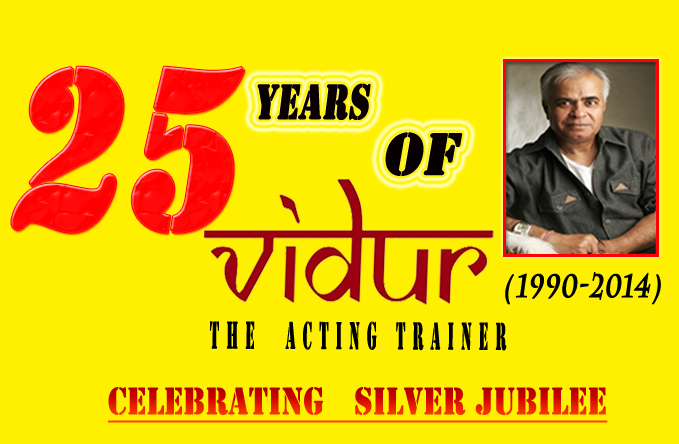 I would like to tell every one along with the students of my acting class Vidur’s Kreating Charakters , that Tamil Nadu is changing very fast or it has already changed . VAITHEESWARAN KOIL – TAMIL NADU – INDIA DECEMBER 23 , 2012 11.55 P.M. When I landed at Chennai Airport on December 21 , 2012 , it marked my 3rd visit to the Southern metropolis . On December 22 , 2012 , when I drove to Vaitheeswaran Koil in the morning , it marked my 2nd visit to the hinterlands of Tamil Nadu . People of my generation always view Tamil Nadu and Tamil people through the prism , which was created in 1967 , when the first Dravidian government was formed in Tamil Nadu under the leadership of C. N. Annadurai . But if you want to understand Dravid Movement of Tamil Nadu , you have to study the history of Self Respect Movement and Justice Party stablished by E. V. Ramasamy Naicker a.k.a. Periyar . It all started in 1925 , much before 1967 , when Annadurai led D.M.K. [ Dravid Munnetra Kazhagam ] formed the first non – Congress government in Tamil Nadu . In the history of India , 1925 seems to be a very unique year . In the Tamil Nadu E. V. Ramasamy Naicker ” Periyar ” started his Self Respect Movement and in the same year in Nagpur Dr. Keshav Baliram Hedgewar started R.S.S. [ Rashtriya Swayamsevak Sangh ] . Periyar’s movement is considered separatist and anti national by many and Dr. Hedgewar’s movement is perceived ultra nationalist by the majority . But it is uncanny that both the movements were started in 1925 . It is said that Periyar was peeved by the superiority of Brahmins and their dominance in all the departments and strata of Tamil culture and life . He started this movement called Sel Respect and started espousing the cause of non – Brahmin castes of Tamil Nadu . He started breaking idols in the temple , advocated atheism , despised JANEU , the sacred thread and finally gave a call for the boycott of Brahmin priests in the marriages . His espousal of Self Respect Marriage had far – reaching repercussions and he became quite unpopular in rest of the country . His anti – Brahmin crusades drew wide – spread indignation and his opposition of Hindu deity worship was considered as anti Hindu and finally anti India . Both the Tamilian parties ; Dravid Munnetra Kazhagam [ DMK ] and All India Anna Dravid Munnetra Kazhagam [ AIADMK ] owe their existence to E. V. Ramasamy Naicker ” Periyar ” and his movement . And thus atheism and anti North India and anti Hindi credo became their life lines . 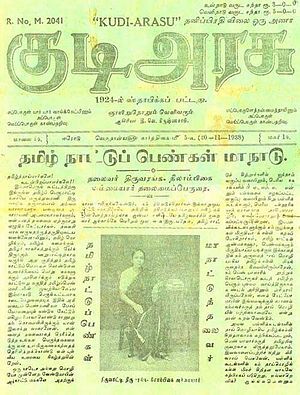 And when DMK came to power in 1967 , Anna Durai accepted many things which were espoused by Periyar . Thus in the rest of India people became suspicious and majority started disliking DMK and it anti Hindi , anti God and anti North India policies . I was definitely misguided by this prism , which I got while studying in Allahabad from 1967 to 1974 . My recent visits have changed my perception of Tamil Nadu , Tamil people and Tamil politics of Dravidian parties . I will complete this ” Understanding Tamil Nadu ” series in my next blog and would like to share it with all the current students of my acting academy Vidur’s Kreating Charakters after my return from Tamil Nadu . MUMBAI – MAHARASHTRA – INDIA AUGUST 08, 2012 01. 15 A.M. 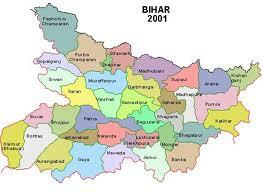 This year in 2012 Bihar is celebrating 100 years of its existence as a province of India . Before 1912 Bihar was included in the erstwhile Bengal Presidency of British Indian Empire . But Bihar’s history is much older that the British Indian Empire and even the rule of Afghans and Mughals . 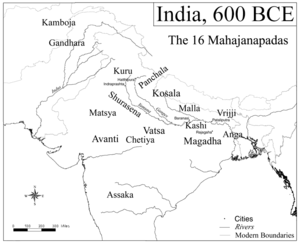 Ancient Bihar (which consisted of Anga, Videha/Mithila, Magadha and Vajji/Vrijji) was a centre of power , learning and culture in ancient and classical India . From Magadha arose India’s first and greatest empire , the Maurya empire as well as one of the world’s most widely adhered-to religions , Buddhism . 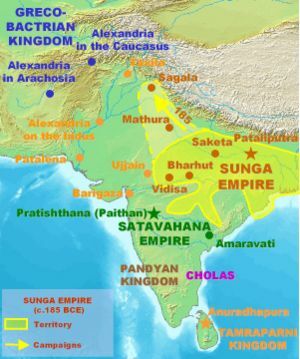 Magadha empires , notably under the Maurya and Gupta dynasties , unified large parts of South Asia under a central rule . Its capital Patna , earlier known as Pataliputra, was an important centre of Indian civilization . Nalanda and Vikramshila were centres of learning established in the 5th and 8th century respectively in Bihar , and are counted amongst the oldest and truly international universities , where people from all over the world came to study. Bihar has distinction of giving the world its first democracy through Lichchivi Ganarajya [ modern-day Vaishali district ] during ancient era . Though today , for some , Vaishali is more associated with Aamrapali , than with democracy . But for lovers of history , Vaishali will always be known as the epicentre of the FIRST PARLIAMENT OF THE WORLD . I am posting few maps , which amply make clear the importance of Bihar and its significant contribution to the cultural ethos of India . From the mythological Magadh of Jarasandh and Anga of Karna of Mahabharata era , to the Maurya period and Chankya era and to the Golden Age of Guptas , Bihar has seen it all . 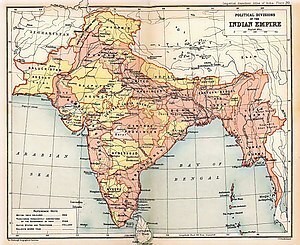 After the end of this glorious and ancient chapter and after the end of not so significant Afghan and Mughal era , East India Company conquered large parts of northern India and became the de – facto rulers . 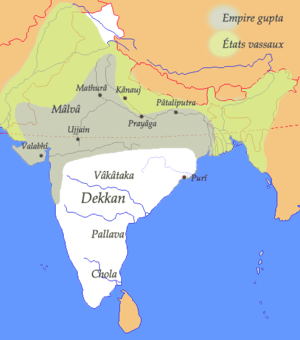 After the Battle of Buxar (1764), the British East India Company obtained the diwani rights (rights to administer, and collect revenue or tax) for Bihar, Bengal and Orissa , [ now Odisha ] . The rich resources of fertile land , water and skilled labour had attracted the foreign imperialists , particularly the Dutch and British , in the 18th century . 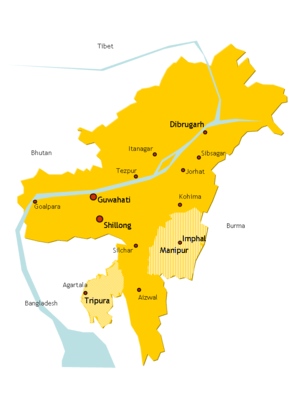 Bihar remained a part the Bengal Presidency of British India until 1912 , when the province of Bihar and Orissa [ now Odisha ] was carved out as a separate province . Since 2010, Bihar has celebrated its birthday as Bihar Diwas on 22 March . 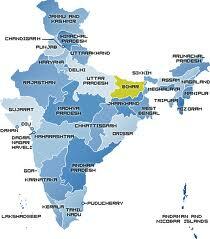 In 1935 , certain portions of Bihar were reorganised into the separate province of Orissa [ now Odisha ] . 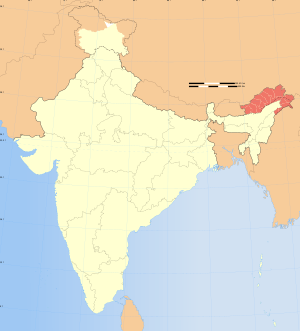 In 2000 , Bihar was divided into two and North part of undivided Bihar became Bihar and the Southern part was carved as a separate province and is now known as Jharkhand . After partition , present day Bihar is the 12th largest state of India in terms of geographical size and 3rd largest in population . Apart from Hindi , Bihar is the home of some of the dialects of Hindi , like ; Bhojpuri , Magadhi , Maithili , Angika and Vajjika . 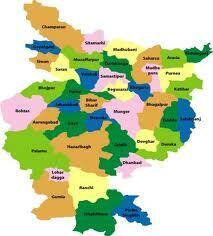 For administrative purposes Bihar is divided into 9 divisions and 38 districts . After independence and under the rule of Chief Ministers like ; Krishna Sinha and Anugrah Narayan Sinha , Bihar for some time , basked in the old glory of Patliputra . But it suffered a lot during the rule of Congress in later years . During the 15 year rule of Lalu Prasad Yadav and his wife Rabdi Devi , Bihar reached at its nadir . Lawlessness and anarchy ruled supreme . Day time murders became order of the day . Ransom became a respectable business . Reputation of Chankya’s Bihar and Chandragupta Maurya’s Patliputra was massacred and mutilated by RJD’s Lalu Prasad Yadav . It was further defaced and defiled by his inefficient wife Rabdi Devi . After all the turmoil and tribulations , Bihar finally rejected RJD of Lalu and elected BJP , JD [ U ] combine in 2005 . Bihar is now marching ahead under the NDA rule . After Gujarat , now it is the second fastest growing state of India . I am happy that in the centenary year of its existence , Bihar is shedding its infamous and nefarious image and gaining international respectability and appreciation . Bharatiya Janata Party and Janata Dal [ United ] combine deserve kudos for that . Though it is still miles behind of other states but definitely it is moving ahead and moving fast . May this centenary year be the golden year of Bihar . I am happy because I have my roots in Bihar . My forefathers originally hailed from the state and only later on they migrated to Uttar Pradesh .